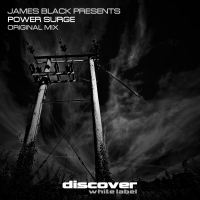 Power Surge is a bass driven, pulsating beast of a debut from James Black Presents. Definitely a member of the "less is more" club, Power Surge remains stipped bare throughout, with understated riffs that cut through the air like a knife. Power Surge is not about fluffy plucks and big lush pads, it is a dance floor weapon that packs the very biggest of punches. 'Power Surge' is available now from Beatport and iTunes.